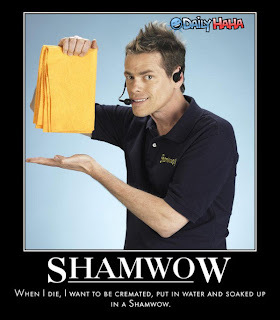 Hey, it’s Colin with Sham-Wow? Good morning to you all, great Coug Nation. Hope the week is winding down on a positive note for you? 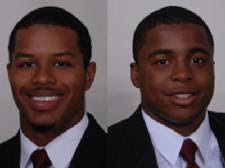 At least it is now very positive for LeAndre Daniels and Tyree Toomer. We remember the story with Daniels and Toomer, where they were spotted walking off with a couple of bikes that didn’t exactly belong to them? Something else with a hacksaw may or may not have been involved? Well, turns out that NO CHARGES are to be filed! Once again, the liberal, left-wing media makes something out of nothing….but all in all, great news. Especially if they are innocent, as some have suggested that this thing could have been a misunderstanding from the beginning. Seems like there is always more to the story than what initially makes headlines, and that’s clearly the case here. Wulff hinted that this might be the outcome. Remember this interview Wulff gave in June, after the uniform unveiling (fade to black….)? Q. I have to address the Tyree Toomer and LeAndre Daniels situation. They’ve been suspended from team activities. What else, if anything, can you tell us about their situation? A. First of all, it’s a mistake, and a poor choice by a couple young guys that have never been in trouble prior to Washington State or in their first year. Both have been done very well academically as well. I think when it’s all said and done, there’s a question mark on whether the charges will even be filed. There are some issues there behind the scenes that look favorable for the players. Q. Have you spoken with them, and if so, what was your message? A. Oh, yeah. I had a message. But we don’t need to talk about that one here. But, bottom line is they’re very remorseful and we’ll deal with that, and the bottom line is they need to make sure they learn from those mistakes. Q. Do you expect them to rejoin the team, and if so, when? A. Yes we do, and hopefully soon. I’m sure Chris Ball and Jody Sears are happy to hear two of the members of the secondary are now free and clear, and ready to hit the field next month! Moving on, so have you seen the new SportsNation show on ESPN? 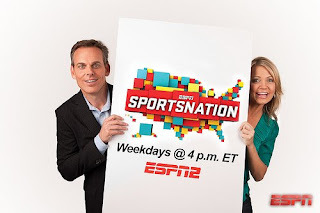 ESPN Radio’s own Colin Cowherd, a former northwest native and complete UW lover has teamed with the super-cutie-pie Michelle Beadle to bring a new show format to the worldwide leader in sports. Michelle is good at what she does, she looks good doing it, and that’s all I have to say about that….anyway, I have caught the show a few times over the last couple of weeks, and I have to admit it’s a pretty good take on all things sports/pop culture. Very fast moving and hip, filled with polls, twitter comments and reactions, youtube videos and such, all while debating the hottest topics of right now. You know, sort of like a blog, only on TV? What’s funny is that Colin Cowherd HATES BLOGS with a passion and doesn’t hide any of those feelings on his four-hour radio show. Yet, here we are. Anyway, the show is TAYLOR-FRIGGIN-MADE for short attention span America! Yes, I include myself in that. But one thing has struck me about seeing Colin out from behind the ESPN mike and in front of the camera. Is it me, or….. So in honor of Colin’s new hit show, and to honor the passing of Billy Mays and Michael Jackson in a very roundabout, serious-reach-type way, we present the biggest hit going right now…yes, it’s “Jam Wow”! I guess it’s a tribute to Billy Mays because, well, even in death, at least he’s STILL NOT VINCE with Sham-Wow. And an honor to Michael Jackson, brought to you by the biggest MJ-lover/1985 imitator, Alfonso Ribeiro! Although I’m not sure Alfonso, or is it Carlton from Fresh Prince, can move like that anymore? Enjoy your Thursday, GO COUGS and all that other stuff. Happy Monday Coug fans! Still rolling around over the new uni’s? I was out of town over the weekend but snuck away to check them out on my little blackberry. EA Sports kind of “softened the blow” a bit, and they were pretty close to the real thing. The all-white look might be pretty cool on the road, although they look a lot like Oklahoma? But you can bet they’ll mix-n-match. I thought the gray pants looked a little dull, but that could just be the lighting. 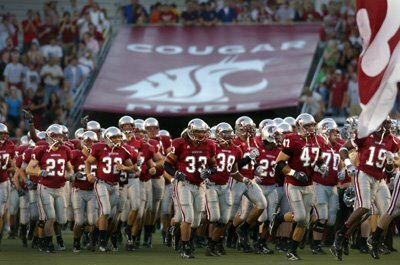 And you know they’ll roll out the “Cougars” helmets for the Apple Cup, and hopefully with the gray pants as well. Anyway, overall, put me in the like ’em camp. Note – if you can’t see the videos, here’s a link to the transcript. Q. You talked about Xavier Hicks during spring practice as being a leader on the team. How much of a blow is that, that it happened again? A. Xavier’s done a great job. He really had. What occurred was he had a traffic ticket in 2007 in Othello and it wasn’t paid. And college students move around, his address, he didn’t receive any of the information that it was suspended. And then he got pulled over and then he found out then. So, that’s the offense. It’s something he has to learn from, obviously, but those mistakes are going to occur. Q. Are there any repercussions? A. We’ve got a few things we’ll do to handle that, but for the most part, at this point, he’s not going to be suspended. So there you have it. 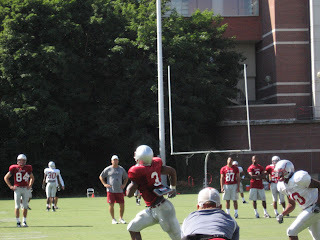 Daniels, Toomer and Hicks will get dinged, but will be part of the team this fall. Interesting. The entire interview is pretty good, and it’s the first in-depth information we’ve really heard from Wulff this off-season. He sounds pretty forgiving. But they have a process in place and he knows the full story for each of the bad news items. If they don’t deem the offenses bad enough on the scale to actually kick someone off the team, then so be it. That’s it for today. Enjoy your Monday, and GO COUGS! On and On and On it goes…. Where it all stops? Nobody knows. As Nuss at Cougcenter asks, “WHEN IS THIS CRAP GOING TO END“? A hacksaw, reported stolen from a nearby home construction site, also was located at their residence, according to the report. Now, I’ve been a Wulff supporter since he was hired over a year ago. I know I’ve preached that he will turn this thing around, and to give him time to weed out the bad guys and bring in the good guys. And there ARE GOOD GUYS in this program. But Daniels and Toomer? They aren’t even “Doba leftovers” we can conveniently shove under the bus. Both were signed in Paul Wulff’s first class. Sigh. I don’t know about you, but it’s getting really, really old. Boys will be boys, but wouldn’t it be nice to stay out of the news right now? ENOUGH already. You are currently browsing the archives for the LeAndre Daniels category.